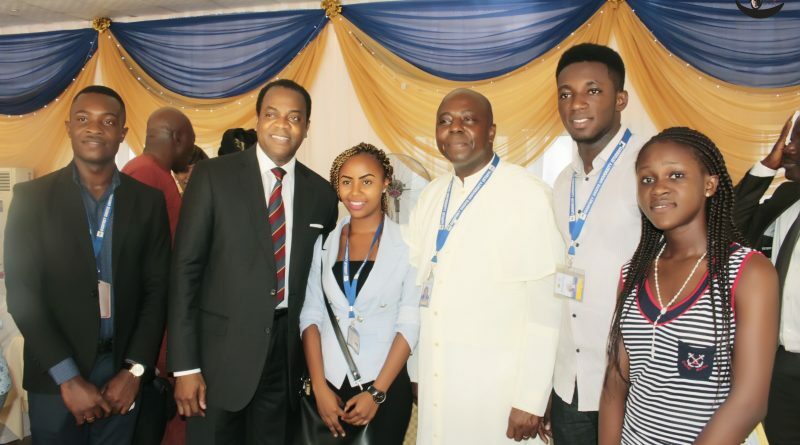 Former Governor Cross River State, Donald Duke has urged the judiciary to purge itself of unpatriotic elements that stain the image of the legal profession. Correspondent, Godwin Umeh reports that the former Governor gave the advice on October 27, during the 2nd Justice Anthony Aniagolu Memorial Lecture held at Godfrey Okoye University, Enugu. The 2nd Justice Anthony Aniagolu memorial lecture attracted many important personalities including the wife of Late Justice Aniagolu, Lady May Aniagolu, Justice Ubaezeonu, the Methodist Bishop of Onitsha Diocese, Right Revd B.L. Onuagha who said the opening prayers during the event and the former Minister of Information, Chief John Nnia Nwodo who served as the Chairman of the occasion. In a remark, Chief Nwodo commended the late Supreme Court judge for upholding the tenets of the legal profession while alive. In an address, the former governor of Cross River State, Dr. Donald Duke who said that the judiciary in Nigeria was on trial described the situation as unfortunate. In a lecture the Chief Justice of Nigeria, Justice Mahmud Mohammed explained that the duty of the judge is to administer justice according to the law, without fear or favour, affection or ill will and without regard to the wishes of policy of the federal, state or local government. The chief justice whose lecture was read by Mr Igwe, reminded judges that the image of a just judge is one who favours neither the rich nor the poor but gives a true verdict according to the evidence without partiality. Responding, the Vice Chancellor of Godfrey Okoye University, Enugu, Rev. Fr Professor Christian Anieke explained that the lecture was to honour Justice Aniagolu who he said represented the past and the present of the university. According to the Vice Chancellor, the late Justice Anthony Aniagolu was consistent in his support to the university. In an answer to a question, Lady May Aniagolu described the event as overwhelming. Responding on behalf of the family, one of the sons, Mr. Charles Aniagolu expressed gratitude to Prof Anieke, the university and the dignitaries for honouring their father.